Since having a fringe cut in I've gone crazy for hair care products. I've always loved using hair masks, especially as my hair is getting longer by the month. 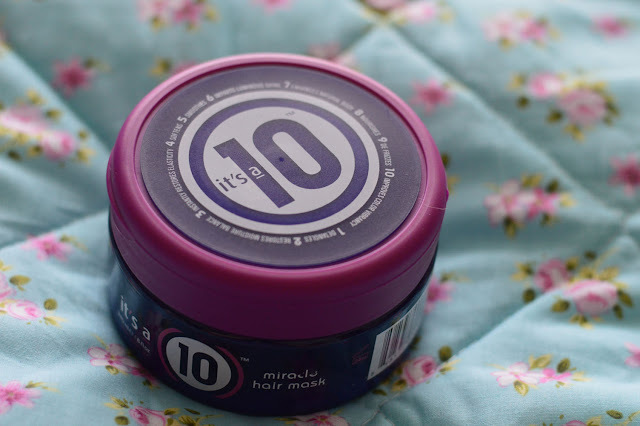 My latest haircare crush is the It's a 10 Miracle Hair Mask. Not only does it smell amazingly good, it IS amazingly good for the hair. I use this after shampooing, I like to massage the product into mid-length sections and ends. If I have time I comb it through using my Macadamia hair wide toothed comb. I like to leave the mask on for a good 5 minutes if I can, but if I'm in a rush then 3 minutes is fine. One problem with longer hair is keeping it knot free, I find the ends get tangled quite easily, using the hair mask has helped keep my ends hydrated and more manageable tangle wise. 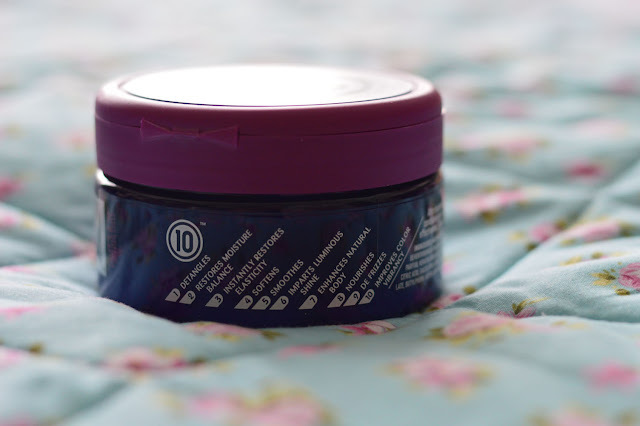 If you colour your hair or use styling tools on it this would be a great product to have in your routine.You can purchase the Miracle Hair Mask from Sally's Express (£13.75/240ml), well worth the money in my opinion! Have you tried It's A 10?